Interior design is a wonderful profession that is not only glamorous, it is exciting, enlightening, and fulfilling, going by how an interior designer can turn a bunch of empty rooms into functional and beautiful indoor spaces. How do designers develop interior design concepts, how do they work and what makes them 'tick'? To achieve any successful concept, a designer must start with an idea which must take into account function, versatility, and beauty. The design concept must be a solution, well thought out, and brilliantly put together. Source: By Akinpelu Adeyinka [CC-BY-SA-3.0 (http://creativecommons.org/licenses/by-sa/3. It is the design concept that lays the foundation for the visual components that make up the total design package. Without a concept, you can't convey a vision. In some cases, a client has his/her/their own ideas and request but just requires you to put it all together in a professional manner, but it many others, clients are open to an interior designer's suggestions. To develop a great concept is not so hard and there really isn't any hard and fast rules about how things should or should not be. However, there are five basic principles that are good to follow. These principles can be used in most interior design situations, for anything from a tiny apartment to a restaurant, and a 5-star hotel suite. The principles are inter-related, yet each is important in its own right. They, however, need to ‘work together’ to allow a designer to create a unified feel within any space. They are listed in no particular order. 1. 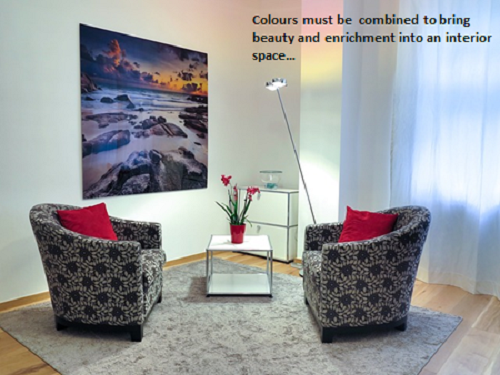 Colour – This is the most basic concept of all and is the fundamental one that will tie a design altogether. There is usually one main (primary) colour, a secondary colour, and a minimum of two other supplementary and complementary colours for the interior that you must consider. Too many, and it becomes garish, too few and it's minimalist. There must be a mix . . . solid, patterns, smooth, textures, and they must be combined in such a way that the designer believes will bring beauty and enrichment to the room. 2. 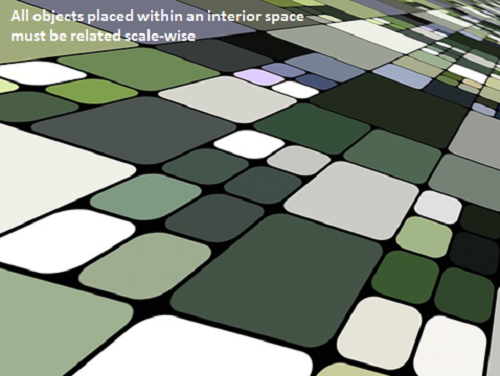 Scale – This is the next important aspect that ensures a concept works out beautifully. 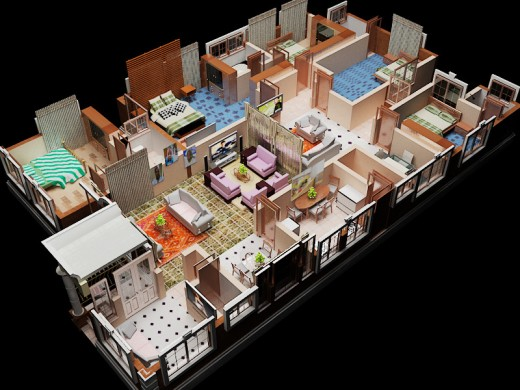 Scale is important and depending on the size and volume of a room(s), all objects placed within must be well-related scale-wise. A few designers seem to forget about the importance of scale. When the scale of anything is at odds with everything else, it makes the interior quite unattractive. For instance, if large or over-sized pieces are used in small rooms, space looks cramped and stifled. Even the greatest colour mix will look terrible if the scale of furniture and interior accessories are at cross-purposes. 3. Style – Each and every designer probably has his/her own unique style, but the simplest style of all, one that seems quite popular is the eclectic style. It is generally informal and can be eclectic/modern or eclectic/traditional. It is also one of the simplest styles any designer can put together. It is important that whatever style is chosen, minimalist, eclectic, country, urban-modern, or bohemian, everything must be 'married' together to work in harmony with each other. That's one of the best ways to create a stylish interior. 4. 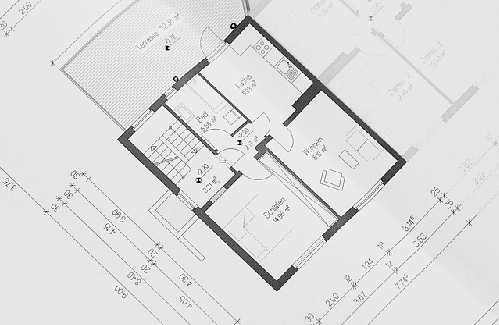 Space Plan – There must be a conscious plan of space and zone allocations, as an interior designer is aware of. So, it doesn't matter if the scale is right, the style is to-die-for, and the colour scheme is pleasant, the design concept will fail if items and objects are not positioned to the best advantage (while still retaining an aesthetically pleasing look). 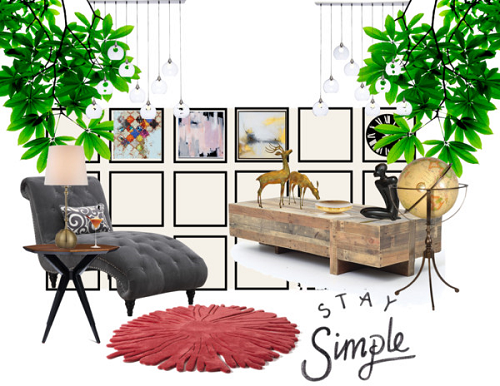 Deciding on a focal point in the room is easy. 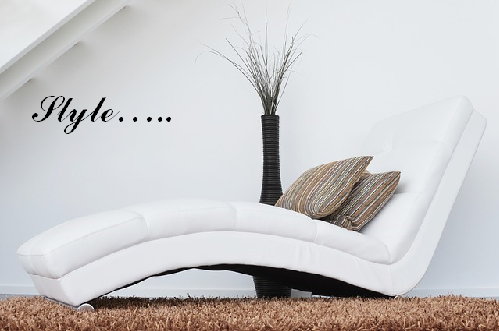 Once that has been determined, it's easier to place primary elements like a sofa, tables, divan, elaborate wall art, etc..., and when these are in position, placing enhancing accessories will be a ‘breeze’. 5. Functionality – It is good to note that function precedes style so there is no point having or developing the most luxurious interior concept if it’s not functional enough to meet the needs of its occupants and users. It must be well designed to be an efficient space that suits its occupants’ lifestyle. For instance, there must be solutions to storage issues, one of the most important in small homes and offices. The kitchen must be beautiful but functional and designed in a way that its user can work effortlessly from one function to another, and balconies can be converted to gardens (bring the outdoors in) instead of serving as dumping space for broken down bicycles and discarded appliances! Include descriptive statements that communicate the purpose of your design concept. The basic design concepts are something every professional interior designer must consider for any project, whether it's a low budget design project or a high budget project. Each must be given due recognition so that the final design will result in the creation of an interior that is not only aesthetically pleasing, but one that is versatile, functional, and calming.